The Trump administration told an appeals court this week that it now wants the entire Affordable Care Act thrown out. That means millions of people could lose coverage. And so far, the administration has offered only piecemeal fixes to the health care system to replace it. Among them is an effort to rein in drug prices. NPR's Alison Kodjak has been looking into that. ALISON KODJAK, BYLINE: Health and Human Services secretary Alex Azar has released three major proposals aimed at driving drug prices lower. The biggest would upend the entire system that sets the prices for medications people buy at their local pharmacy. Today those prices are negotiated in secret as rebates between drug companies and middlemen known as pharmacy benefit managers. Last month, Azar said instead, he wants to do this. ALEX AZAR: Replace today's opaque system of rebates, which drives prices higher and higher, with a system of transparent and upfront discounts delivered directly to patients that will finally drive prices down. KODJAK: Unlike today's rebate system, those discounts wouldn't be secret. 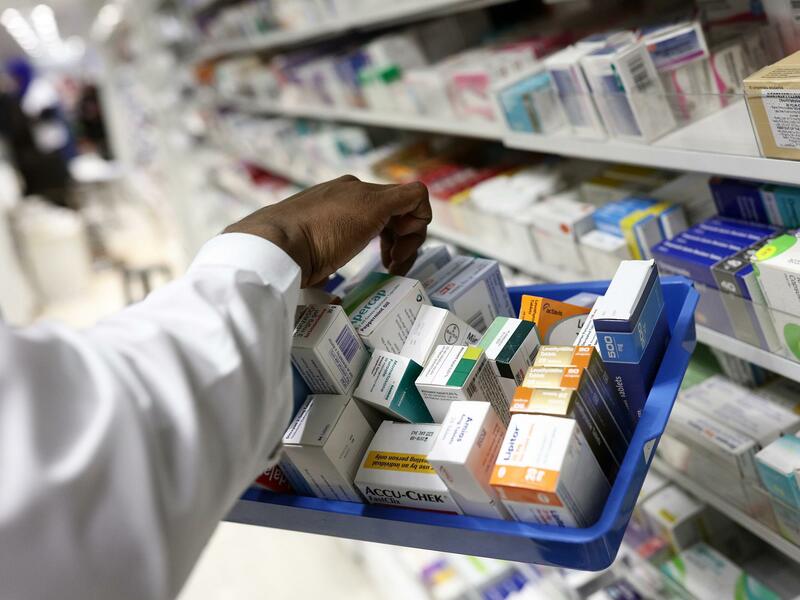 The plan, Azar says, would reduce what consumers pay at the pharmacy counter and, eventually, get drug companies to cut their high list prices. WALID GELLAD: And it can't be underestimated the amount of change this is. KODJAK: That's Walid Gellad, who runs the Center for Pharmaceutical Policy and Prescribing at the University of Pittsburgh. GELLAD: The competition between companies has been on how big a rebate they can give. The way that you give a big rebate is by increasing the list price. So the idea is to get rid of that so that companies can compete based on getting the list price lower. KODJAK: But economists like Len Nichols doubt the changes will end with overall prices being lower than the deals the pharmacy benefit managers - those middlemen - get today. LEN NICHOLS: The truth is they still unbalance lower prices from what they would be if they didn't exist, which is exactly why we need them. KODJAK: Nichols, a health economist at George Mason University, says when there are only a few powerful players in the market and they know what everyone is paying, prices often go up. NICHOLS: Well, one way to think about it is that - imagine what you wanted was for a cartel to work perfectly. One way a cartel works perfectly is if all members of the cartel know everybody else's price. KODJAK: Azar of HHS has also proposed requiring drug companies to include the list prices of their medications in television and magazine ads, which the companies strongly oppose. Sara Fisher Ellison, an economist at MIT, says the focus on publicizing prices for consumers seems like it should work. SARA FISHER ELLISON: But to be honest, they probably missed the mark. KODJAK: That's because consumers don't pay list prices at all and, usually, don't even choose what medication they're buying. That decision is in the hands of their doctor. And unlike with toothpaste or soda, it's not easy to switch brands. FISHER ELLISON: You can imagine sort of a patient walking into a pharmacy. And he has a prescription for, you know, Lipitor and then finds out that Zocor, which is, you know, sort of a similar drug, is a lot cheaper. Well, there's nothing he can do at that point. KODJAK: When it comes to driving down prices, analysts say HHS's third proposal is likely to work. That plan would tie the price Medicare pays for IV, cancer and arthritis drugs to the prices paid in other countries. But the proposal is facing steep opposition from the U.S. Chamber of Commerce and doctors who say the idea may hurt patients. Ted Okon is the executive director of the Community Oncology Alliance. TED OKON: I, basically, have traveled the world, literally, looking at cancer care. And other countries do not have the access to the drugs that we have here. KODJAK: Azar says he's confident drug companies will still sell their products in the U.S., even if prices were lower than they are today.